Moving entails a lot more than changing license plates on your car. There are often big changes to your car insurance when moving, as well. Here are some of the main relocation factors that can impact your auto insurance quotes. If you’re moving to a different state, a change in state regulations could affect your policy. First, check whether your new state is no-fault, meaning your insurance company would pay for your injuries and related expenses after an accident, no matter who was responsible. In addition, the party at fault could still be sued for injuries over a certain threshold. No-fault states require you to have personal injury protection insurance to cover you after an accident. There are 12 no-fault states: Florida, Hawaii, Kansas, Kentucky, Massachusetts, Michigan, Minnesota, New Jersey, New York, North Dakota, Pennsylvania and Utah (plus Puerto Rico). Drivers can reject the lawsuit limitations in Kentucky, New Jersey and Pennsylvania. States also have different requirements about the minimum amount of liability coverage you must carry and what other coverage companies must offer. California, for instance, requires insurers to include uninsured/underinsured motorist coverage unless you sign a waiver turning it down. Even if you remain in the same state, moving can affect your car insurance quote. For one thing, your new home is unlikely to be exactly as far from work as your old one. This means a longer or shorter commute and, therefore, a change in how much you’ll be driving. Insurers charge customers living in different places different rates, based on the company’s claims history in each location. The average annual car insurance premium in Kansas City, Missouri, for instance, is $1,323, while people across the state in St. Louis pay an average of $1,544, NerdWallet reported. If you’re moving in with a significant other, you may want to combine your policies. 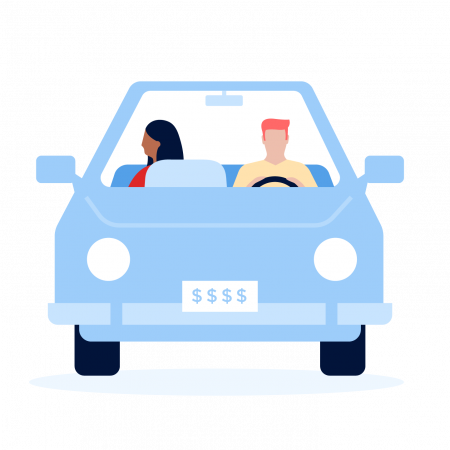 Even if you don’t combine policies, insurers want your policy to list other drivers who regularly have access to your car. Car insurance quotes take in multiple factors, including how much you drive, where you live and who else is on your policy. With some or all of these elements changing, the company that offered you the lowest rate before might no longer be the best deal, so it pays to get new quotes. You want to get your insurance squared away early. Esurance, for instance, recommends getting in touch to discuss your insurance options two months before you move. Better yet, contact several companies to compare your new rates.